A few hours ago, Apple officially unveiled one of the most anticipated smartphones released this year – the iPhone 5S, together with the iPhone 5C, a somewhat cheaper plastic version of the iPhone 5. 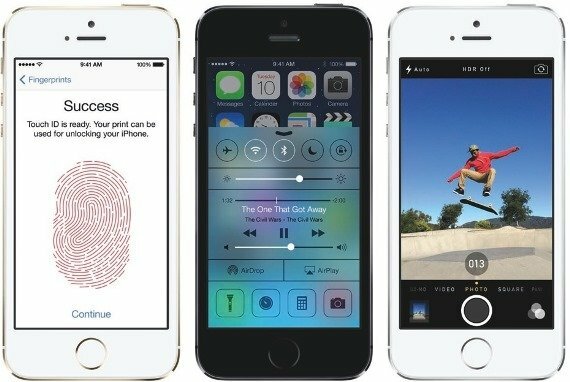 While there is no significant changes or improvements in terms of the physical appearance in the iPhone5S compared to its predecessor, Apple focused more on what’s under the hood. 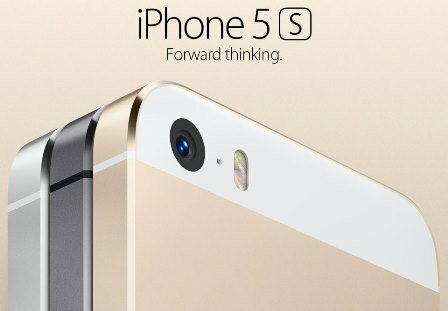 The iPhone 5S, as usual, is expected to be an upgraded version of the iPhone 5. But Apple added a new feature called the Touch ID. Check out more details below. There are basically three major improvements or “upgrades” we see in the new iPhone 5S, aside from the fact that it will be running on the new iOS 7. First is that the new iPhone 5S runs on a new A7 CPU which Apple claims to be 40x faster in terms of CPU and 56x times faster in terms of graphics when compared to the original iPhone (not referring to iPhone 5). There is also the M7 CPU that acts independently from the A7 processor. 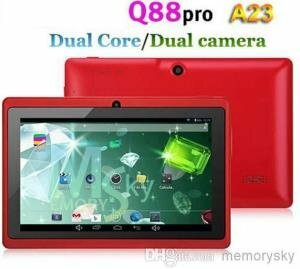 Its job is to continuously measure motion data from the compass, gyroscope and accelerometer without tapping the A7 CPU. The iPhone 5S is also the first smartphone to run on 64-bit architecture. Just like Windows OS that comes with 32-bit and 64-bit OS. Apple claims that the 64-bit architecture is better, and faster. It’s actually 2x faster in terms of CPU and GPU when compared to iPhone 5. This only means that we should expected a 64-bit version of the Apps found in the Apple store. Moving on, Apple has also upgraded the camera in the iPhone 5S. It’s still the same 8 megapixel camera but it now comes with dual LED flash (cool and white), and a software that intelligently detects and analyze the scene to give the right amount of lighting. 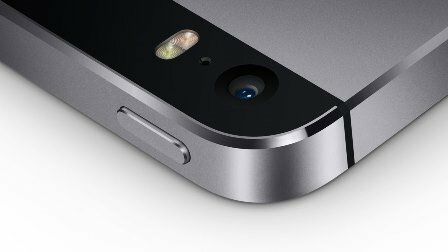 Apple calls this the “True Tone Flash”. But the real noticeable improvement is that the camera can now record an HD video at 120 frames per second. This means that you can capture slow motion videos with great fluidity. 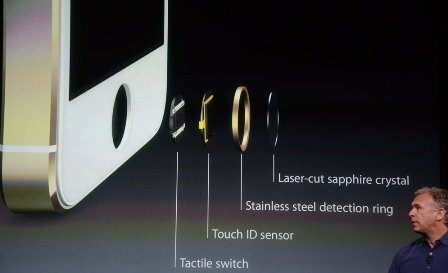 Now this is the most highlighted and probably the amazing feature found only on the iPhone 5S – the Touch ID fingerprint reader. Apple has changed the way how you unlock your phone buy using your very own fingerprint instead of passwords. You can unlock the iPhone 5S via the 500ppi fingerprint reader built in the home button of the iPhone 5S. Fingerprint scanning is not a new technology since we can find this in some Ultrabooks or Laptops. And I think I saw the same kind of technology in some Android phone but with different implementation. I’m guessing that we will see this type of technology in upcoming Android phones as well. Hmm… sounds like another patent war? The iPhone 5S will replace the pricing of the old iPhone 5 when in contract. Prices are as follows: the 16GB for $199, 32GB for $299 and 64GB for $399, on a 2-year contract respectively. 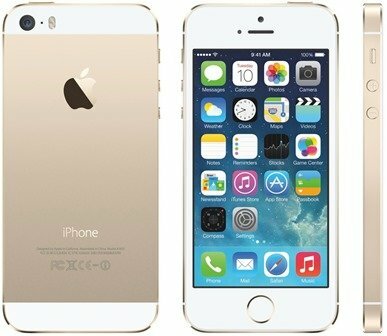 The iPhone 5S release date is expected to be this coming September 20 after the official launch of the iOS7 on September 18. Do You Think What These Guys Said About the iPhone 5s and 5c are True?